HJC have released all new graphics for their 2019 RPHA 11 line of motorcycle helmets that feature a new look for one of their most popular models, an updated design for a favorite super hero and additions to their Marvel comics graphics line. In 2016, the HJC RPHA 11 Venom helmet turned into a massive best seller for the company, so three years later they teamed with two designers including Starline, the original Venom helmet creator, and found something even more dark and twisted. Now you can get the HJC RPHA Venom 2 that features sharper teeth and a wider scream. It's loud and fueled by rage! 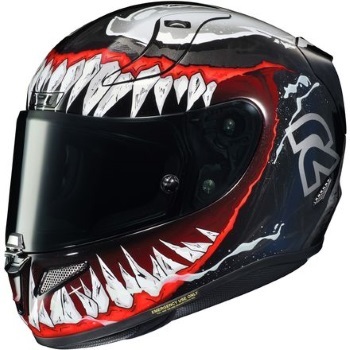 But HJC didn't stop with an update to Venom 2 as the company has released another version of their widely popular Captain America graphic helmet. 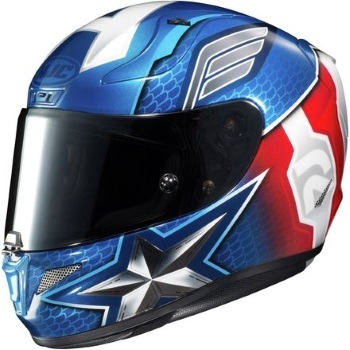 The original Captain American was painted on the CL-17 model but gets the full treatment on the RPHA 11 helmet for 2019. The new Captain American RPHA 11 helmet graphic has texture, detail, and a high-tech feel, while still paying tribute to the WWII American hero that fights for everything that is right in the world. To hold onto authenticity, Cap's iconic "A" remains on top and his polished vibranium shield on the rear. No one needs to know that Steve Rogers is not behind the visor. HJC has also added a Batman and Deadpool 2 line to the RPHA 11 helmet as well as solid colors and other non-Marvel comics themed helmets. 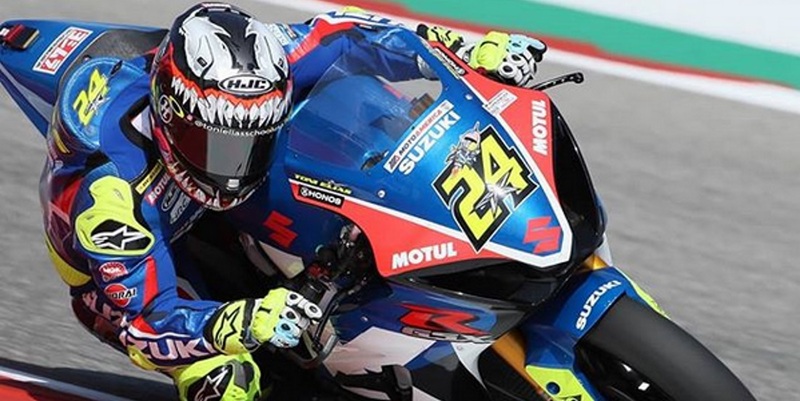 In all, choose from 18 HJC RPHA 11 helmet designs. Click on the links to check out additional features and further details for the HJC RPHA 11 Venom 2 helmet, RPHA 11 Batman helmet and RPHA 11 Captain America helmet. Check out all HJC RPHA 11 helmets and the entire line of HJC full face motorcycle helmets.